Summer is coming, and with it longer days and warmer weather. For those in the hotel business, it’s also bringing the chance to welcome more guests. And if you are in the business, you’ll know how important it is to have your hotel running at high occupancy all summer long, taking advantage of peak-season tourism spikes for as long as you can. Which makes summer marketing crucial to every hotel — especially those dependent upon high-season business. The good news is that with a few simple tweaks to its current hotel operational and marketing activities, a hotel can greatly enhance its summer appeal and resonate with all the sun-chasers, beach-goers, and relaxation-seekers out there planning their summer vacations. Looking for ideas and inspiration to get you started? 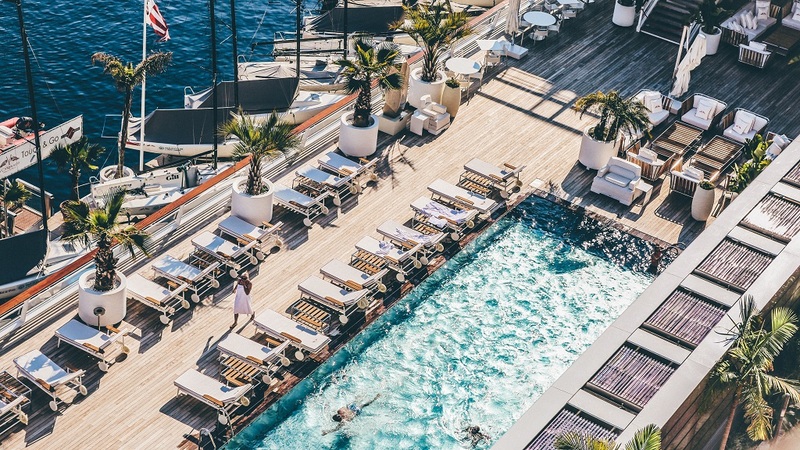 Read on for ways to market your hotel for the summer with tips, tricks, and proven best practices (some of which can be applied all year round!). Summer guests book hotels 51 days in advance on average according to trivago’s data. This is farther in advance than what we’ve seen for any other season. To reach these guests in time, you’ll want to get a jump on marketing your hotel for summer. Spring is a good time to start revving up summer marketing activities to appeal to all those seasonal vacationers looking for their hotels months in advance. In other words, don’t wait for the summer to start marketing your hotel for the summer. Sunshine and smiles — the visual content on your metasearch profile, social media accounts, and official website should exude summer. Do you have a pool? Beach access? Do you offer outdoor activities? Make sure your hotel details on your trivago profile reflect all your summer-relevant offerings. It’ll help you connect with the summer travelers using these filters to find their ideal hotel on trivago. Give travelers an extra compelling reason to choose your hotel for their vacation with a special summer-related offer. Something like discounted tickets to a nearby waterpark could do the trick, as could a sweet deal for families. Whatever special offer you’re able to design for your summer guests, be sure to promote it on your trivago profile. Summer tends to be the most popular time of year for family vacations. As such, it’s the season for which you’ll want to really amp up your family-friendly factor. Something else to keep in mind about summer family vacations: It’s not uncommon for families to return to the same hotel summer after summer, year after year. Attracting families to your hotel for the summer is a can’t-miss opportunity to grow your loyal customer base. While hotel loyalty is important all year round, loyal summer guests can help you fill your rooms with more direct bookers in the peak season when demand is high and third-party acquisitions aren’t so indispensable. Read “What’s Motivating Guest Loyalty for Hotels Today?” for insights into how a hotel can encourage guest loyalty. From the humble backyard barbecue to the candlelit lobster dinner on a moonlit beach, summertime sets the stage for an array of classic culinary experiences. Summer guests will be looking for such experiences in their hotel stays, so be sure to cater to this desire. Some ideas for how: design a summer menu, incorporate fresh summer produce into your breakfast, or host outdoor cookouts for your guests. Be sure to promote your summery culinary offerings online with keywords (e.g. “BBQ”) that will help travelers find you online. Summer guests may also be keen to celebrate summer holidays — July 4th in the States, Bastille Day in France, etc. – with a meal or a party. Indulge them! Promote any special events you’ll be hosting online to let summer travelers know your hotel will be a festive setting for their favorite summer holidays. Travelers are increasingly looking for unique hotel experiences, and one of the best ways for a hotel to deliver this is to leverage its location. Is there a lake nearby where guests can waterski? Does the local theater group perform at an outdoor location in the summer? Any unique and local activities and happenings will appeal to summer travelers, so be sure to mention them in your digital marketing activities. And while on the topic of all things local, consider promoting your hotel to local guests as a spot for a summer staycation. Make sure your summer rates are competitive, profitable, and appropriate for the season and your offerings. While this sounds complicated, it isn’t necessarily so — not when you use a rate shopper. With this tool, you can access real data for last summer’s hotel rates, as well as the rates your competitors have set for the upcoming summer months. The better you understand how summer guests behave on their booking journey, the better you’re able to target them with your summer hotel marketing. Be sure to also understand how travelers behavior on metasearch. This whitepaper has all the insights. Readers can find plenty more ideas for successful digital hotel marketing for summer and every season here on our blog.